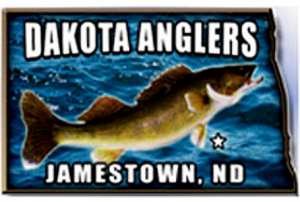 Jamestown (CSi) The Dakota Anglers will be holding a Fish Fry Tournament at Pelican Point Landing on Saturday, July 14th. This is a fishing tournament for the contestants followed by a fish fry and potluck meal for the membership. Two person teams may enter; at least one team member must be a Dakota Anglers member or pay $20 dues to become a member. Registration is from 7-8 at Four Winds Sharpening. Fishing starts at 8 am. Weigh in at Pelican Point Landing at 3 pm sharp. Teams may fish any one legal North Dakota water that must be declared at registration. Payback is 100%. Plaques will be awarded for each winning team member and for largest walleye and largest northern. Call Nathan at 701-200-2327 if you have any questions.